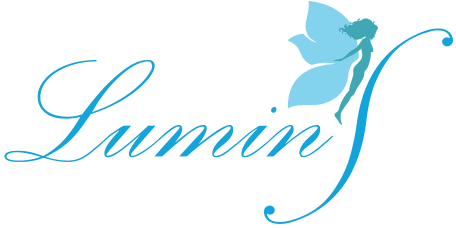 The LuminS Skin & Body Rejuvenation Center offers local Garden Grove, CA patients effective solutions for acne. Acne treatment is customized for each patient so that they can achieve the clear face they've always wanted. Acne occurs when the P Acnes bacteria found in the sebaceous glands gets infected. As the glands release the sebum needed to moisturize the skin and hair, that sebum may clog up the glands, resulting in acne eruptions. It is a common misconception that only teens get acne. It is seen in people of all ages and often occurs in adults. Even people in their 20s, 30s, 40s, and beyond suffer from acne today. 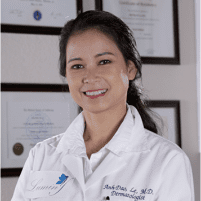 While it is an embarrassing problem, there are now effective ways to eliminate the acne with the help of an experienced aesthetic dermatologist like Dr. Le. What is the Dual Yellow Laser? The Dual Yellow laser is a yellow light laser that is used to destroy the acne causing bacteria and shrink the sebaceous glands. This will not only address existing acne but will also help prevent future acne since the sebum production will be reduced going forward. Thanks to the use of photodynamic therapy, the dual yellow laser light can kill bacteria while still leaving the healthy tissues undisturbed. What is LED Photodynamic Treatment? LED Photodynamic treatment is a non-drug solution for acne. This treatment uses narrow band LED blue light to destroy the bacteria that cause acne. Patients have between 6 and 8 short treatment sessions to get a long term result. For people who have depressed acne scars, Sculptra can be an excellent solution. Sculptra is an FDA-approved filler that is created from the same substance that dissolves stitches. Sculptra lasts for much longer than other fillers, however. It is a volumizer that encourages the body to make new collagen. This can greatly improve the appearance of even deep acne scars. Sculptra can last for as long as 2 years in many patients.